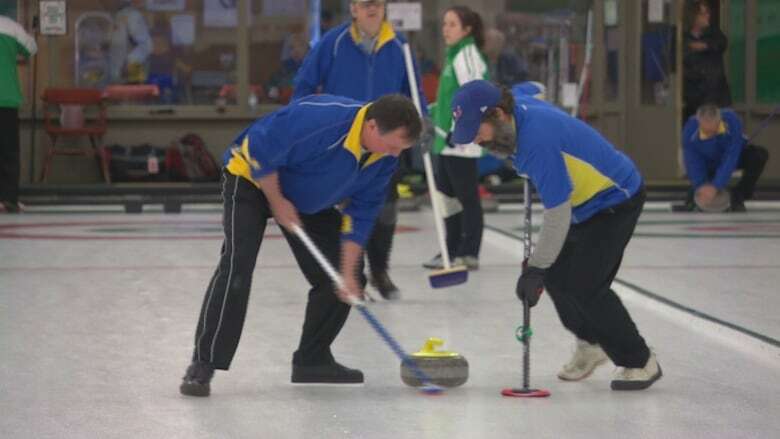 Some blind curlers were hurrying hard at the Granite Curling Club in Winnipeg Saturday. 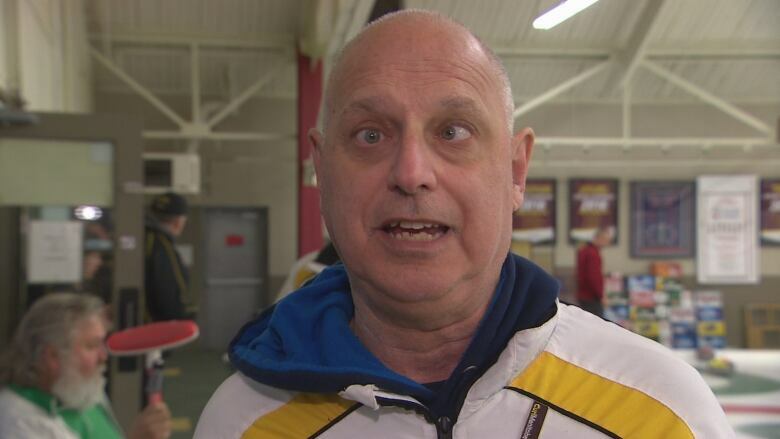 The Manitoba Blind Sports Association is hosting the 45th Western Blind Curling Championships this weekend in the city. Norm Lyons says the competition is friendly but sometimes can get fierce. (Marouane Refak / CBC)About 50 people, part of four provincial teams from Manitoba, Saskatchewan, Alberta and British Columbia, are taking part. 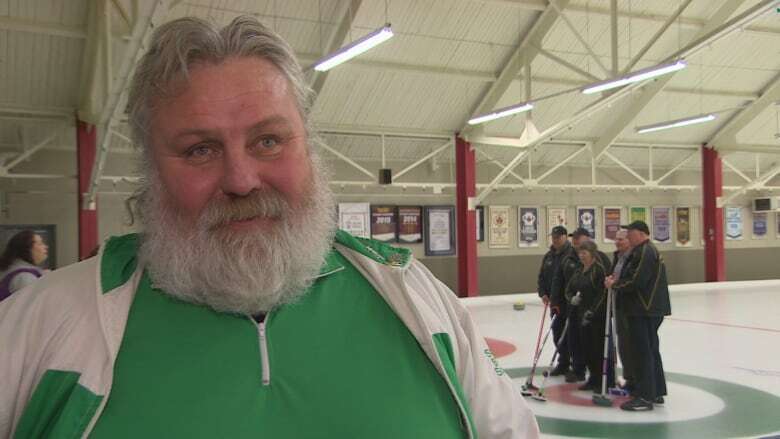 Chairperson Norm Lyons said whether you're sighted or not, curling takes practice. For those with vision impairment, "it just means that we have to do it differently," he said. Lyons said the competition between players is friendly but not weak. "Some of them are very highly competitive and they're really into it, like some of the super curlers." Marvin Anfinson is completely blind and relies on the help of a coach while playing. Anfinson said he's learned to use his other senses to help him play a better game over the years. "You develop your game," he said.